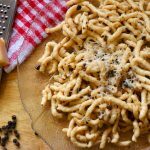 Keto Cacio E Pepe - Headbanger's Kitchen - Keto All The Way! 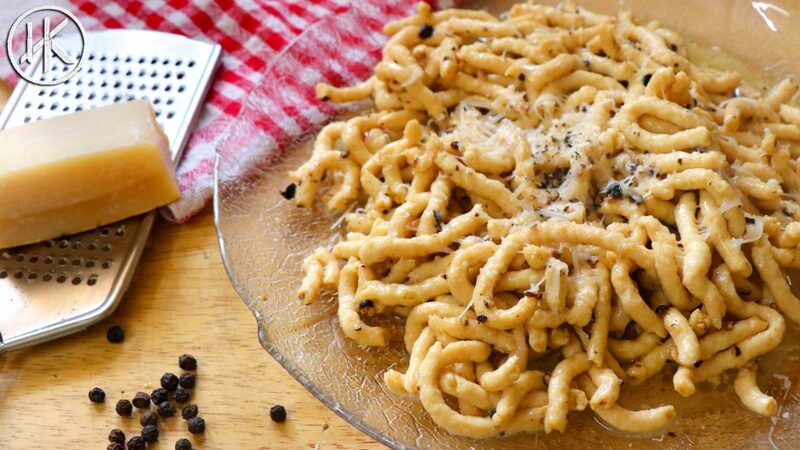 Today we’re making a Keto Cacio E Pepe which simply means pasta with black pepper and cheese. Being on Keto there is no question of real pasta being used and since I’ve done so many dishes with Zucchini I decided to do something different. I had made some meat noodles a while back which I thought would be perfect for this dish. I’ve always loved Italian food and previously I’ve made a Keto Carbonara and also a couple of Zucchini pasta dishes. Anyway enough jibber jabber let’s cook. Oh, it goes without saying that I’m doing my take on the dish as I know how particular Italians are about their cuisine. If you aren’t a meat eater or just don’t have the time to make the meat noodles, Zucchini is the answer. You can use spiralized zucchini or spaghetti squash for this dish. In that case you don’t really need any additional stock or water to make the sauce as the zoodles themselves will release plenty of water. That’s pretty much it, everything else remains the same. Crush the peppercorns using a heavy bottom saucepan or a knife or just grind it in a pepper mill. On a low heat roast the crushed peppercorns in a dry frying pan and once the pepper starts to get aromatic then add in the olive oil and continue to heat. Once the peppercorns start to sizzle in the oil add in the butter. When the butter melts add in some of the stock and mix everything well and it should emulsify and start to form a sauce. Finally add in the cheese followed by the noodles once it's well incorporated into the sauce. Cook down till the sauce is as thick as you like it and it coats the meat noodles. Serve with fresh grated parmesan on top and more black epper. One of my all time favorite pasta dishes is Tortellini with prosciutto and peas. Any ideas?